In an interrogation room at the police station, Shimada (Hiroshi Yamamoto) is questioned about a theft case. The theft occurred 10 days ago, but Shimada hardly says a word. Inspector Goto (Mirai Suzuki) struggles with Shimada. At this time, Detective Tachibana (Jiro Sato) walks into the interrogation room. Out of the blue, he asks Shimada what he would like to eat. Shimada says he wants tempura & soba from Fujisoba's. Detective Tachibana tells Shimada that there is another tempura & soba he can eat. 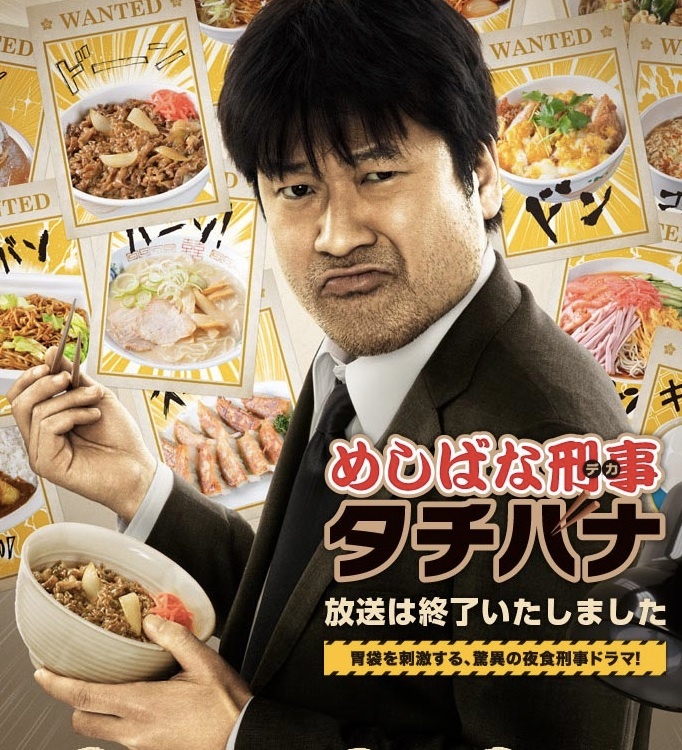 Based on his own rich knowledge and experience, Detective Tachibana begins to talk about simple food. Their conversation develops into a dispute. Based on the manga "Meshibana Keiji Tachibana" by Sahee Sakato (published serially from December 30, 2010 by weekly magazine Weekly Asahi Geino).